Amid the many innovative businesses clustered in the Mile End neighbourhood, Drogheria Fine has managed to stand out for nearly a decade. The quaint family-owned gnocchi restaurant has grown increasingly popular among locals and tourists alike. 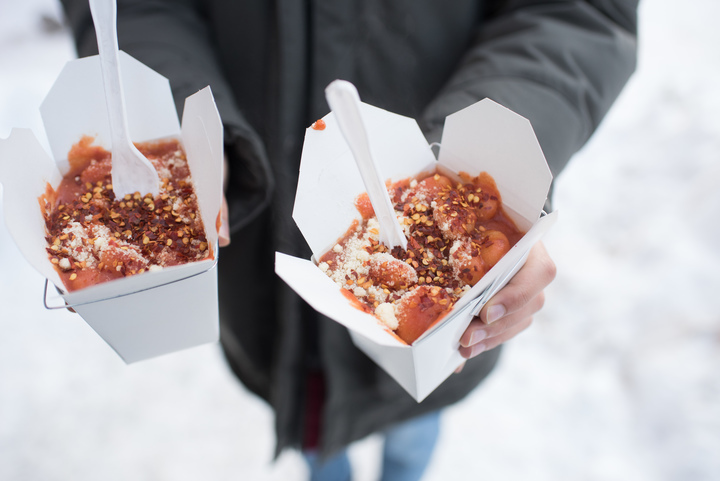 Located on Fairmount Avenue and Clark Street, the small window shop, known for its $5 gnocchi served in take-out boxes, offers a remarkably satisfying meal for the everyday student and passerby. What makes Drogheria Fine unique is its limited menu: It only serves one dish—potato gnocchi cooked in traditional, homemade tomato sauce. According to Rosie Scalia, an employee at the shop, their specialization in a single product has helped them perfect the recipe, and ultimately led them to their success. The shop operates as a window counter during warmer months, often prompting a long lineup on the sidewalk. During the winter, however, Drogheria Fine moves indoors, transforming into a small single-room franchise. Inside the venue, the tantalizing smell of fresh gnocchi cooking on a stove against the shop window welcomes customers. The walls are lined with jars of tomato sauce, striking in quantity and aesthetic. In fact, to Scalia, it’s actually the tomato sauce—not the gnocchi—that keeps the business going. According to Scalia, the affordable price, easily-transportable container, and incredible taste, have led Drogheria Fine’s gnocchi to rise in popularity around the Mile End—particularly among the vibrant student community. Their unique method of cooking the dish is another key aspect to its success. 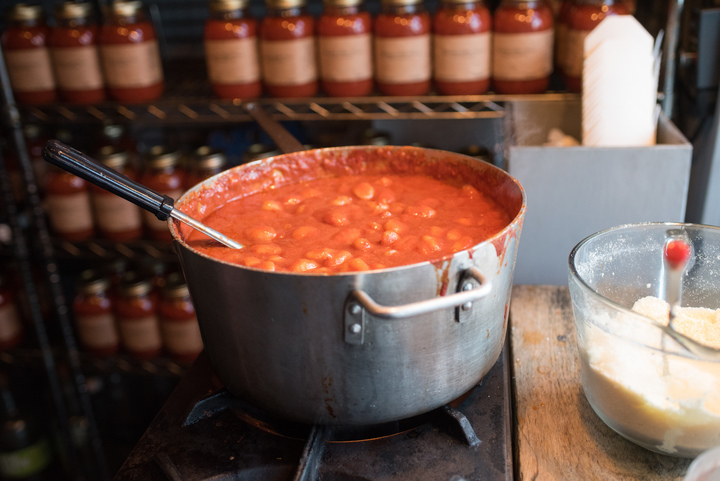 With its unquestionable attraction, popular location, and delicious gnocchi-tomato sauce combination, it comes as no surprise that this small shop has become a must-visit destination.